Ron’s agriculture career has spanned five decades. He has served as Principal in Farrell Growth Group, LLC, for 20 years. 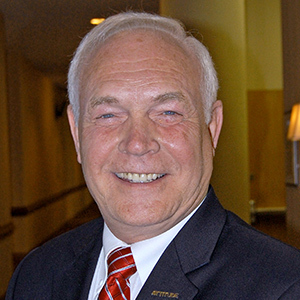 He concurrently worked for 11 years as President and CEO of RAPID, Inc. and AgGateway Corporation, an agricultural industry e-business standards organization based in Washington DC. Before this, he worked for 11 years with Wilbur-Ellis, including 6 years as vice president and division manager. In that role, had responsibility for all southern division operations and development efforts in Mexico. His first two decades in agriculture he worked in leadership roles in the crop protection industry, and farmed 1600 acres of corn and soybeans in southern Minnesota.